Custom large event tents in South Africa is coming and really hot sale in this summer time. With plain white pvc sidewalls and clear pvc window sidewalls, it looks fantastic. Liri is the biggest tent manufacturer and tent supplier in China. We can provide you with various kinds of custom large event tents. You can get a good tent from Liri and we are sure that you will satisfy with it. 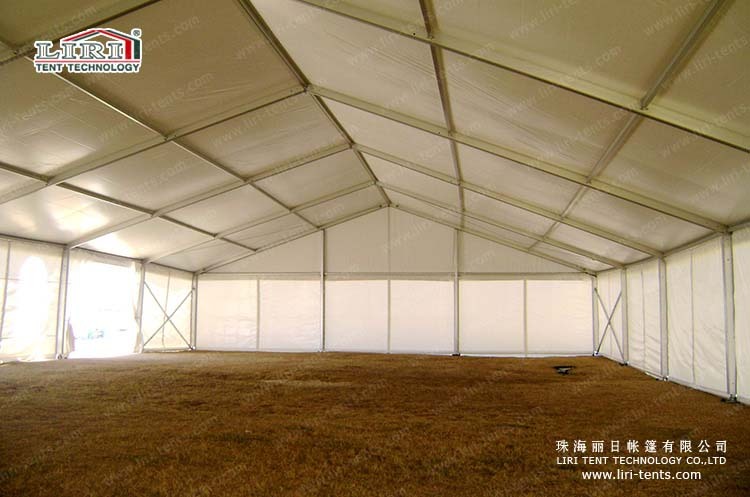 There are many accessories of large event tents for your choices, such as white pvc sidewall, clear pvc window sidewalls and so on. Liri customer large event tents are widely used for any activities. In addition,this one is sold to South Africa, and we also sold many different design of large event tents to all over the world. Liri can really supply trust-worthy event tents for you.